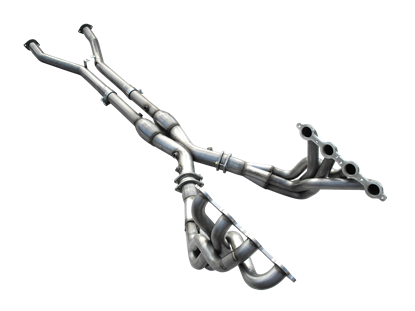 With race inspired technology built into every system, you're looking at the very best the performance exhaust industry has to offer. Our C5 systems are available with 1-3/4", 1-7/8" or 2" primaries with catted or non catted X-pipe mid-section. 1-3/4" mid sections have a 2-1/2" reduction at the flange to connect to stock system. Of course, these are manufactured using the highest quality 304 S/S available and require no modifications to install.